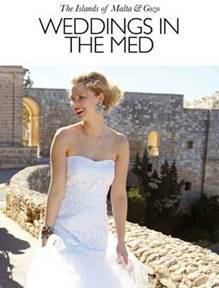 The Malta Tourism Authority for United Kingdom and Ireland, featured db San Antonio Hotel + Spa on its annual publication The islands of Malta & Gozo - Weddings in the Med. This publication is an illustration of what Malta and Gozo can offer as a wedding venue and as a honeymoon destination. The Weddings in the Med gives an account of couples who organised their wedding in Malta from religious to civil union. Fantastic images of weddings occassions together with the amazing venues that the island can offer complement this publication that makes it interested and tempting to have your wedding organised now. Our hotel, as part of db Hotels + Resorts chain, gave an account of all the facilities we offer together with its sister hotel db Seabank Resorts + Spa.